Last week was a very big week for the gluten-free homebrewing community on the national stage. Zero Tolerance Gluten Free Homebrew Club sent a three brewer delegation to HomebrewCon in Portland, OR. 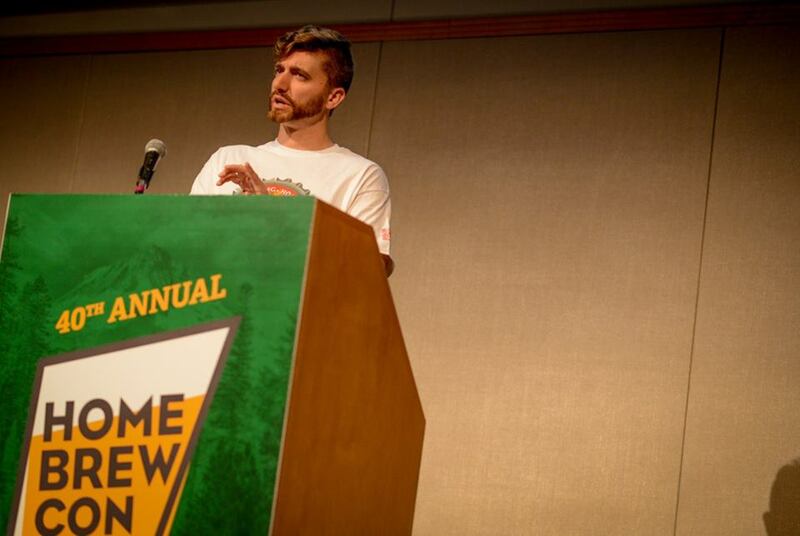 The club was on a mission to spread the word about gluten-free beer to the 3,200+ attendees. Zero Tolerance member and GFHB regular Bob Keifer presented a seminar titled Gluten-Free Homebrewing: No Barley Wheat or Rye in which he provided a cursory overview of brewing gluten-free beer while serving four distinctly different beers to highlight different GF brewing techniques. Included in the tasting were a Saison (cereal-mash), Stout (all-grain), Smoked Porter (partial-mash) and an Experimental Hop Pale Ale (extract). 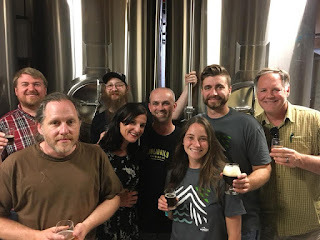 The beers were all part of the May 26th group brew Bob organized in Portland with JP Bierly of Bierly Brewing and Dan Mcintosh-Tolle of Moonshrimp. Zero Tolerance opened the festivities by leading off the Social Club on the first day of the convention and were met with a warm welcome. Thirsty and curious attendees flocked to the Social Club to sample Zero Tolerances offerings. On tap were a solid variety of beers from Ed Golden and Joe Morris. Ed brewed up his famous Hefelinsen (a Hefeweizen-style beer that uses lentils in lieu of wheat) and a stunningly clean Helles Lager. 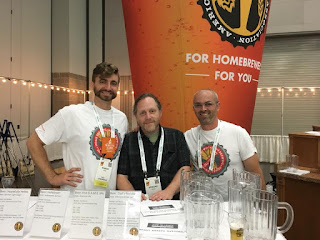 Joe brewed up his Dad’s Red Ale (Best of Show: First Annual PNW Gluten-Free Homebrew Competition), a basic Blonde ale, and an 8% ABV IPA featuring Galaxy, Amarillo, Mosaic and Ekuanot hops. All five beers were well-received and drew a steady and deep line for over 2 and a half hours. set them apart from the other clubs. The highlight of HomebrewCon is always Club Night and Zero Tolerance rose to the occasion. With a bare bones booth featuring all 11 of the beers prepared for the conference (the previously-mentioned nine, plus two darker offerings from Ed), the booth was mobbed from start to finish. The reception was overwhelmingly positive. Some real heavy hitters in the homebrew community came by the booth and gave glowing reviews of the beers. 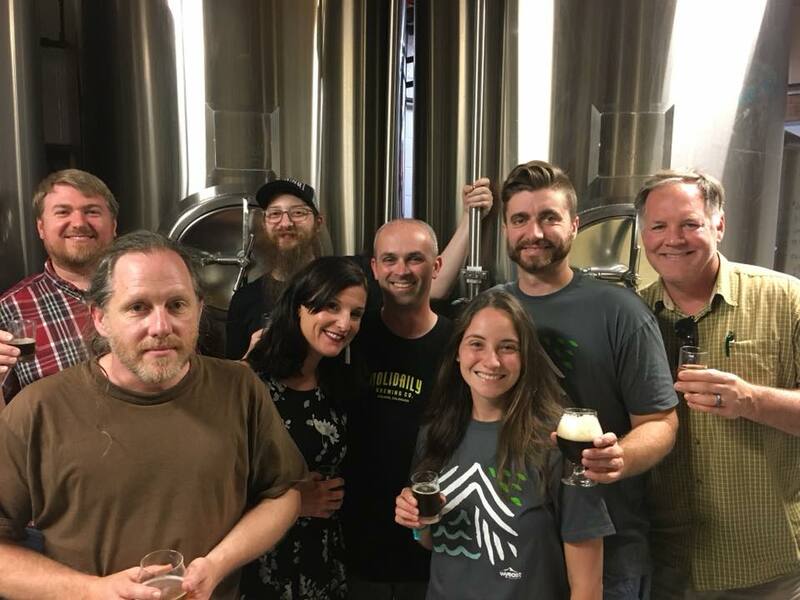 The festivities ended in a familiar place, the club's home in the brewery at Ground Breaker Brewing. It was time to kick back, relax and share some of that beer with who appreciate it most: The gluten-free community. A lot of homebrewers' old, negative preconceptions about gluten-free beer were erased last week. 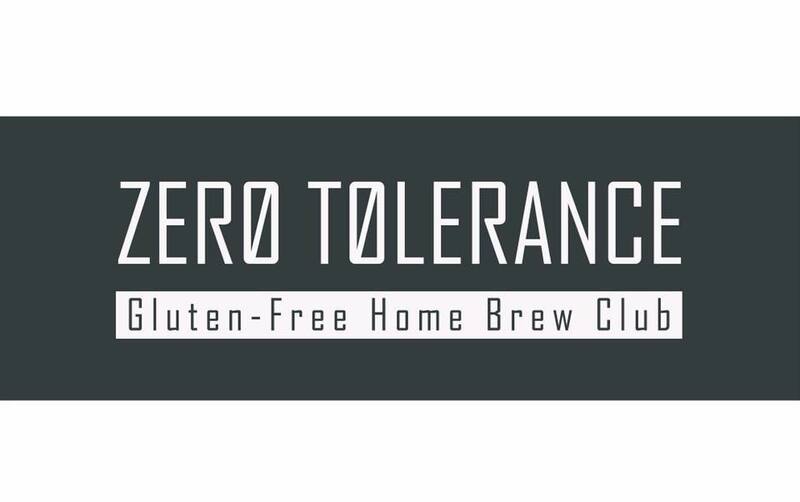 Zero Tolerance showed up ready to change the narrative about gluten-free beer among homebrewers and did so on a national stage. 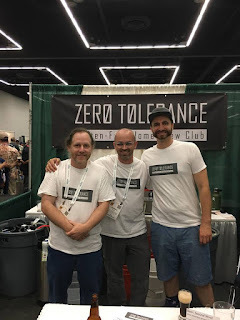 Six months ago, Zero Tolerance wasn't even a club, but if HomebrewCon is any indication, this is a worthy endeavor.